Golden: March Madness equals sadness in Austin but what of Shaka? The Texas Longhorns were left out of the NCAA Tournament Sunday. 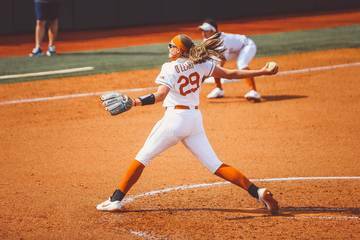 Texas went 16-16 in 2019 and 8-10 in conference play. Coach Shaka Smart is 66-66 overall and 31-41 in conference play at Texas. Athletic director Chris Del Conte has declined to discuss Smart's status until the season ends. Texas didn’t get in and Shaka Smart will be back. 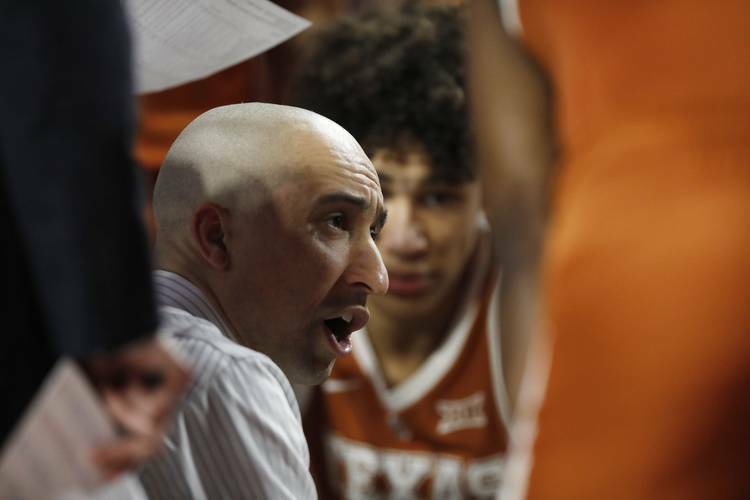 The mess that’s been the 2019 basketball season took a predictable turn when the Longhorns were not one of the 68 teams announced as part of the NCAA basketball tournament field. March Sadness has descended upon our fair city because the local hoops team failed to win some must-win games down the stretch. Snubbed? They weren’t good enough to be snubbed. Bradley Cooper was snubbed when the Academy released its best director nominations. These Horns didn’t pass the screen test. No stars were born in 2019 but there were plenty of scars. By the way, hugs go out to you Longhorn diehards who sat through that one-hour CBS selection show on Sunday in hopes of a miracle. Texas’ name was called but it was on another show: the NIT selection show. The Horns host South Dakota State on Tuesday night and will do so with the services of big man Jaxson Hayes, who injured his knee in the Kansas game. And just like that, Texas has to regroup and try to avoid becoming Smart’s second team to finish a season under .500 here. If only they had met the challenge over these last few weeks huh? We knew they weren’t getting in after that KU loss, didn’t we? It’s not as if this 16-16 crew made all the right plays down the stretch to warrant more consideration. As it turns out, the Horns made mostly wrong plays when it mattered most. They blew a 19-point second-half lead in Waco, failed to show up in the regular-season finale against a TCU team that dressed only seven scholarship players and then went cold late with a chance to beat Kansas in the conference tournament. That final loss coincided with the return of senior guard Kerwin Roach II, who really hurt his team’s chances with some really poor personal choices. So where does that leave Shaka, whose team limped to a 1-5 finish? He’s battered but not broken. And still employed as of Sunday evening. In short, he hasn’t delivered. Since he went 20-13 and 11-7 in Big 12 play with a nucleus of experienced Barnes players in his first season, Smart has an overall record of 46-53 and a 20-34 conference record over the last three years, two of those coming with NBA first-round picks Mo Bamba and Jarrett Allen on his roster. His marks of 66-66 and 31-41 at Texas speak for themselves. They’re ugly and unacceptable. Unless you believe some anonymous internet reports making the rounds, he isn’t going anywhere, those bad numbers notwithstanding. He’ll be back for a fifth year, a decision that may displease some who are tired of mediocrity but one that makes the most sense in a fiscal sense because Texas would be on the hook for nearly $13 million to send Shaka packing. One of my Twitter followers asked over the weekend: What’s more important at Texas — money or apathy? There’s a balance to consider. Athletic director Chris Del Conte wants to get away from overcooked long-term guaranteed contracts that put the coffers at considerable risk if high-high-dollar coaching hires don’t pan out. He understands the cost of competing with the top dogs in the sports of football and basketball but he’s understandably wanting to avoid cases like the one with Charlie Strong where the university had to pony up $10.4 million to get him out of here. As for Smart, Del Conte has made it clear he isn’t discussing the coach’s status until after the season. To make a change would mean would also mean settling up with his assistants and then covering the buyout of a potential replacement. That’s a lot of coin for a program that cleared $7 million last season — good money but not football money — as reported by our own Brian Davis. A big-money booster could come forward and express his undying love for Texas basketball with his checkbook in hand to buy Smart out, but every green scooter on Congress would disappear overnight before that happened. Beyond that, Smart could negotiate a lower buyout figure to get out of town ASAP if he feels he can’t win here. Also unlikely. So expect Smart back next season with a great recruiting class and some good returning players in explosive guard Courtney Ramey and possibly post Jaxson Hayes, who has a nice NBA upside. There’s always next year, Horn fans. Perhaps there will be cause for excitement in 365 days. Maybe then, Sadness will give way to Madness.